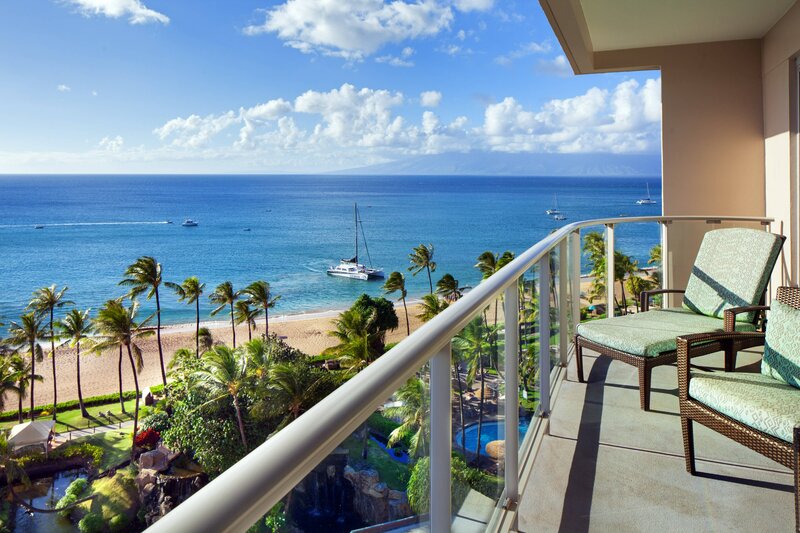 Experience the essence of Hawaii at our beautiful Maui hotel resort, The Westin Maui Resort & Spa, Ka&apos;anapali. 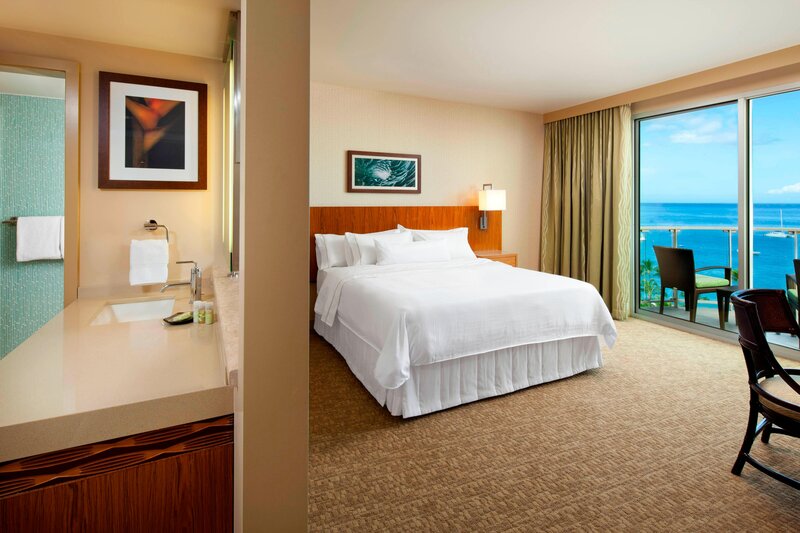 Our breathtaking oceanfront setting on legendary Ka&apos;anapali Beach provides the perfect backdrop for wonderful memories of your getaway or family vacation. Our Maui beach hotel and resort is just steps from Whaler&apos;s Village where you&apos;ll discover upscale dining, shops and entertainment. Take advantage of our resort area shuttle to nearby local attractions. On-property, enjoy our lavish, 87,000-square-foot aquatic playground with five pools, waterslides, tropical gardens, waterfalls and a cave with a hidden jacuzzi. Stop by our Heavenly Spa for an otherworldly cabana massage or facial; take in dazzling views as you work out in our state-of-the-art fitness center. Savor delicious all-day dining with great views at our restaurants, or sip world-class cocktails in our beach or pool bars. Immerse yourself in a total Hawaiian experience. 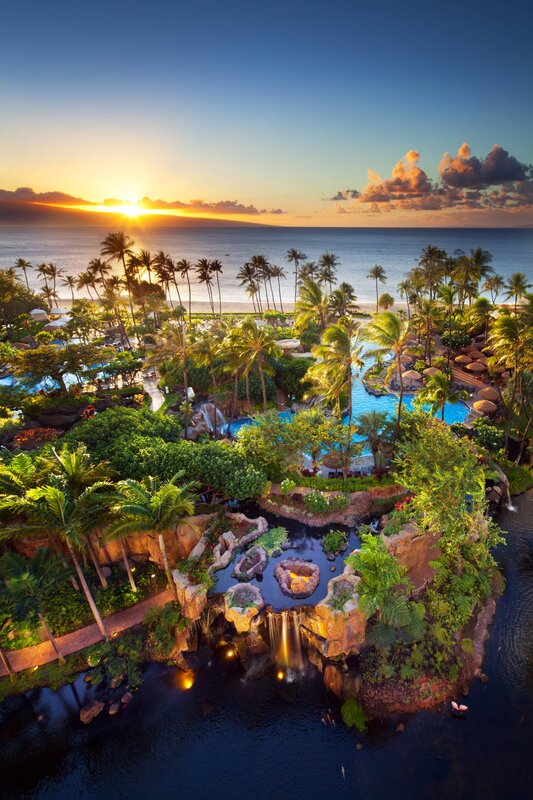 The Westin Maui Resort & Spa is an oceanfront resort located on the legendary Ka&apos;anapali Beach. 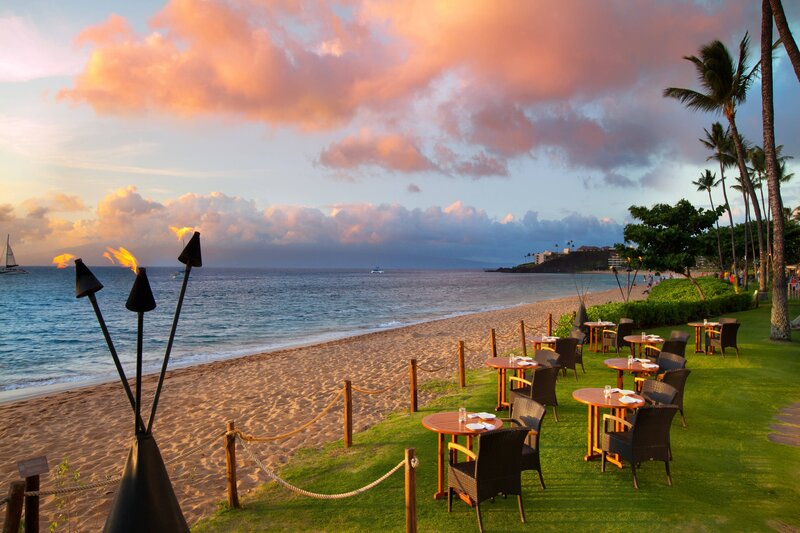 All of The Westin Maui Resort & Spa&apos;s dining outlets have beautiful views of the ocean and resort. Drawing from Maui&apos;s abundant natural bounty and multi-cultural heritage, our restaurants offer a variety of distinctive menus featuring the freshest local ingredients. From traditional island favorites to gourmet delights, you&apos;ll enjoy a diverse range of flavors served in some of the most dramatically beautiful settings in the world. The resort&apos;s exceptional wedding venues include elegant ballrooms and outdoor venues with breathtaking views. 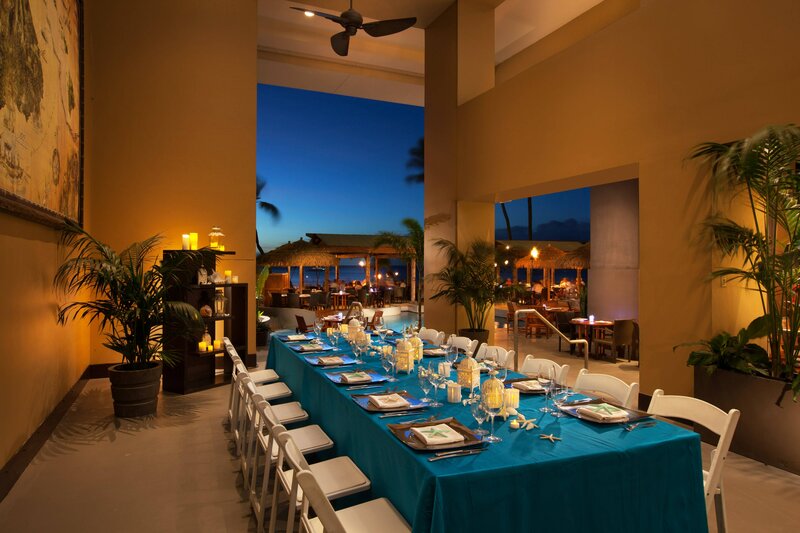 Set on beautiful Ka&apos;anapali Beach in Maui, Hawaii, our resort offers wedding venues, beach weddings, catering, luaus, and private dining. Guests can enjoy breathtaking views of the ocean, pools, and wildlife at the resort&apos;s Beach Bar. 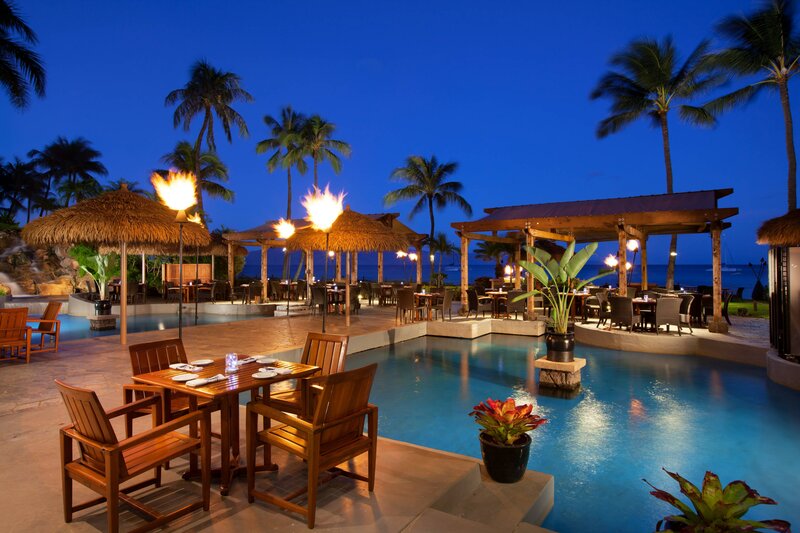 Located on the Oahu Pool deck, the Beach Bar serves snacks, specialty drinks, and local beers. 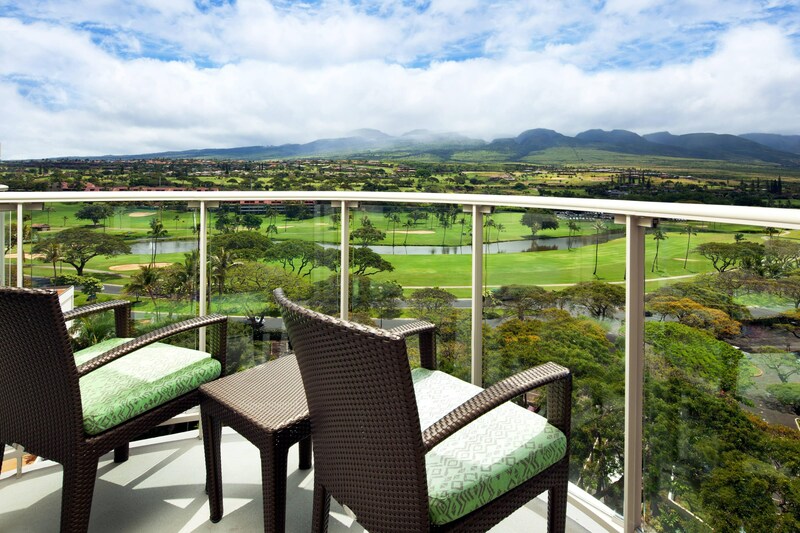 Take in spectacular sunsets and panoramic views of Ka‘anapali Beach. Enjoy discounted cocktails and small plates during happy hour. Most rooms at the resort have beautiful views of the ocean and resort. The Westin Maui Resort & Spa, Ka&apos;anapali is delighted to offer amenities that help our guests renew and reinvigorate including our signature Heavenly® Beds—all-white, plush beds with 10 layers of comfort: a custom-designed Simmons Beautyrest pillow-top mattress set, a cozy down blanket, three crisp sheets, a comforter, duvet and five fluffy pillows. 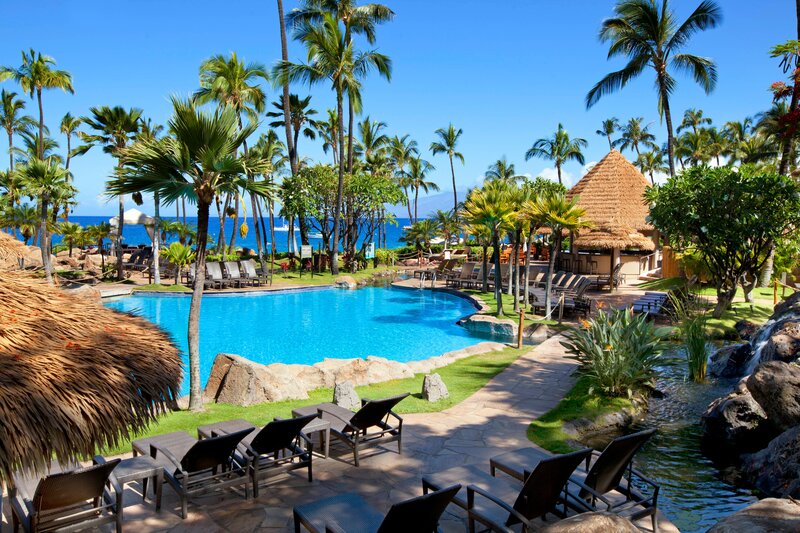 The Westin Maui Resort & Spa, Ka&apos;anapali is located 27 miles from Kahului Airport on beautiful Ka&apos;anapali Beach just a few steps away from local shopping and restaurants, and only 3 miles from the town of Lahaina. Take a short stroll on the beach walk and discover Whaler&apos;s Village—the only oceanfront-shopping destination in Hawaii. This bustling commercial hub is a diverse collection of world-class designer boutiques, gift shops, art galleries, and excellent open-air dining right off of Ka&apos;anapali Beach. The free whale museum is open daily.